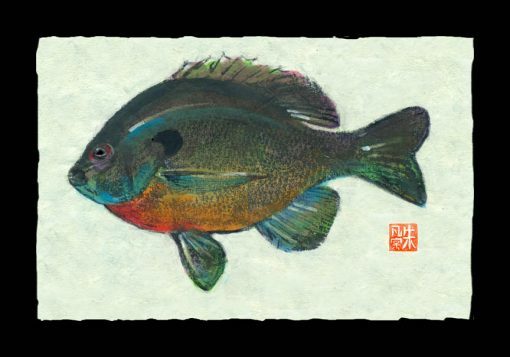 I frequently fish for Bluegills because they are plentiful and always willing to bite. They make great rubbings because of their shape and bright color. In addition, they are great eating!